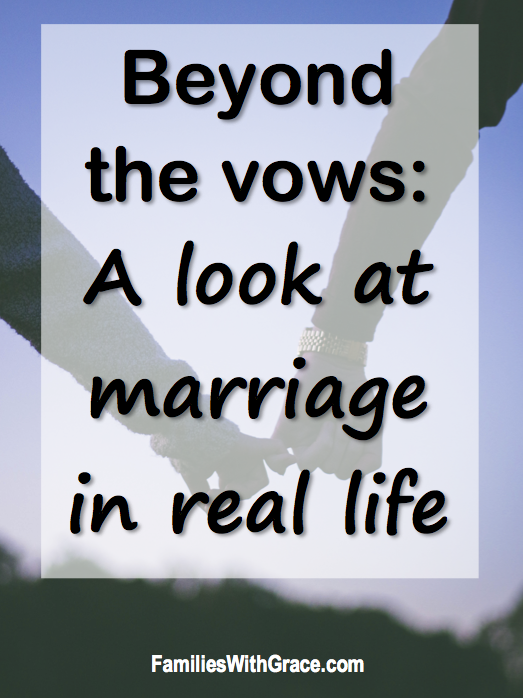 I’m so excited to introduce a new series from Families with Grace called “Beyond the vows.” We’ll be taking a look at marriage in real life and in real situations that go, well, beyond the vows! I have often thought about the vows my husband and I exchanged on our wedding day way back in 1999. We were 20 and 22 and thought we’d done some living. We didn’t know how much living life had left for us! We still don’t know what all life has in store. In all these years we’ve had many ups and downs. And through all of them, we have understood our vows more than we ever could have on our wedding day. It wasn’t hard to vow to have and to hold each other. As newlyweds, we were excited about that stuff! 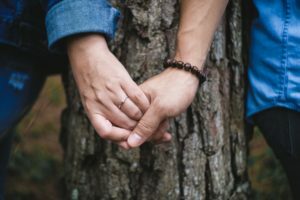 In the years since then, we’ve learned what it means to have and to hold through all sorts of situations — from times of great joy, like when our children were born, and times of great sorrow, like when loved ones died. Promising to stay together for better or worse was easy, too. Staying together through good times is pretty darn easy. It’s the hard times that bring the challenge. Sure, we had arguments and trials in our relationship before we got married. In fact, our engagement got off to a rocky start when my family wasn’t happy that I wanted to get married before graduating from college. Since getting married, though, we’ve had plenty of worse times through the years and learned they can bring us together or tear us apart. They can make us stronger or weaken our relationship. And then making a vow to stay together for richer or poorer wasn’t so hard as young college students, because rich wasn’t something we were! We just knew we’d be rich in love and we were — and still are! We learned about poorer, though, when my husband lost his job in 2007 and spent a year before he found another one. Poor times are certainly harder to weather together. 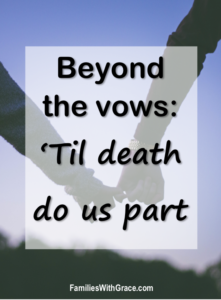 Our vows also included that we’d stay together in sickness and in health. The day we stood before God and our friends and family, we were both young and healthy. 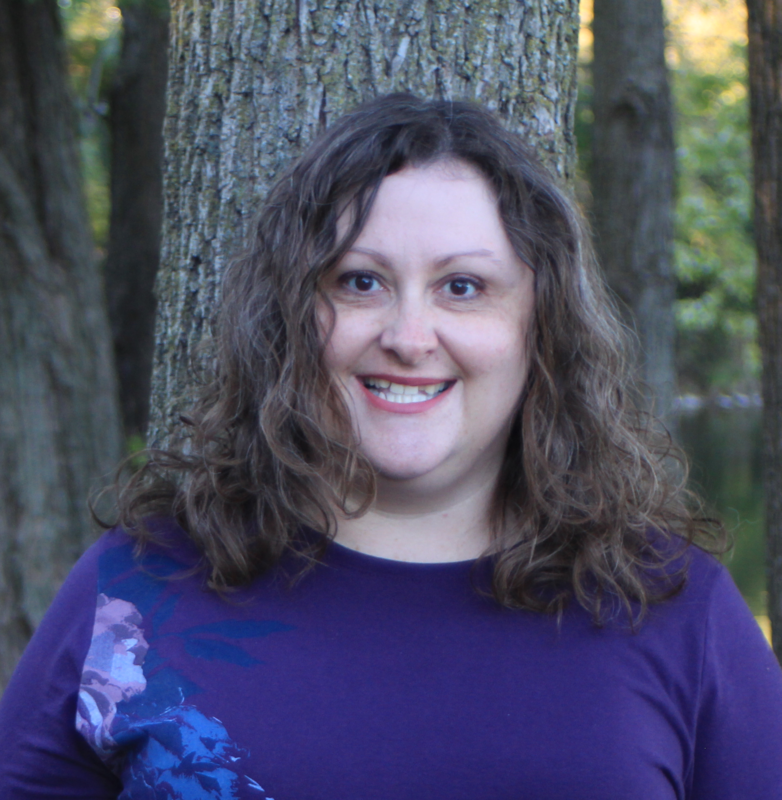 Three years later, I became not so healthy when a bladder condition I had battled since childhood came rearing its ugly head with a vengeance. We have learned the full truth of sickness and health probably the very most of all the vows. We also didn’t struggle to vow to love and cherish each other. We loved each other so very much that day. In the years since, our love has grown and changed in ways we couldn’t have even imagined. I love my husband so much more today than I did that today because of all we’ve been through together. Of course, that vow also means loving and cherishing even on the hard days and difficult times when you are at odds with one another. Finally, it’s easy to promise to love someone until death do you part. We confronted that pretty early on when in our first year of marriage we almost died thanks to a carbon monoxide leak. But, we have also learned that death is a whole issue we have to deal with in other ways through the loss of loved ones from extended family members to our beloved dog who was like our first child. 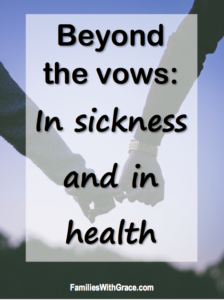 As I was writing a blog post along these lines, specifically on “in sickness and in health,” I started thinking about how our wedding vows mean different things now than they did on our wedding day. And then I realized this topic needs more than one post and more than one voice! So “Beyond the vows” was born. I am excited about it and think it will be a great series. 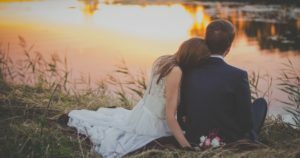 Each post will cover a portion of wedding vows and how those vows have evolved through the years of being married. Here’s the thing, you don’t have to have been married for a long time to know the reality of life beyond the vows. You just have to have lived some life together. 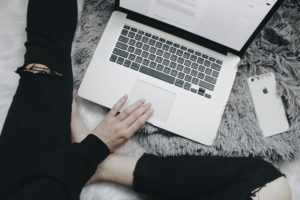 You can write your own story in 700 to 1,000 words or you can share a few highlights of your story with me through email for me to include in one of the posts. Either way, I will edit for clarity and style to make sure that Families with Grace’s posts are consistent. If you prefer to be anonymous, let me know that. Otherwise, please include a short bio to run along with the article that has your name, how long you’ve been married and any other family info you want to share. If you are a fellow blogger, I’m happy to provide a link to your blog in the post as well. The biggest requirement of these stories is they MUST be positive. They should be honest and real, but they need to have a positive or encouraging message in the end. 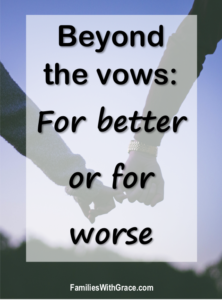 My goal with “Beyond the vows” is to cheer on other married couples on their journey and remind them they aren’t alone in navigating life as mister and missus. If you are interested, send me a message through the Families with Grace Facebook page or email me at stacey(at)writtencreations(dot)com.